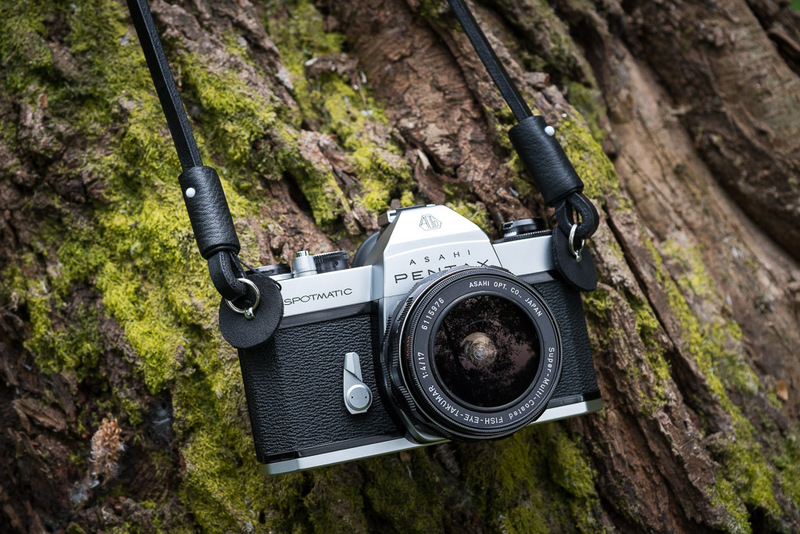 Perfectly blended, the brown slim strap & the spotmatic SPII! Click here to buy this strap. 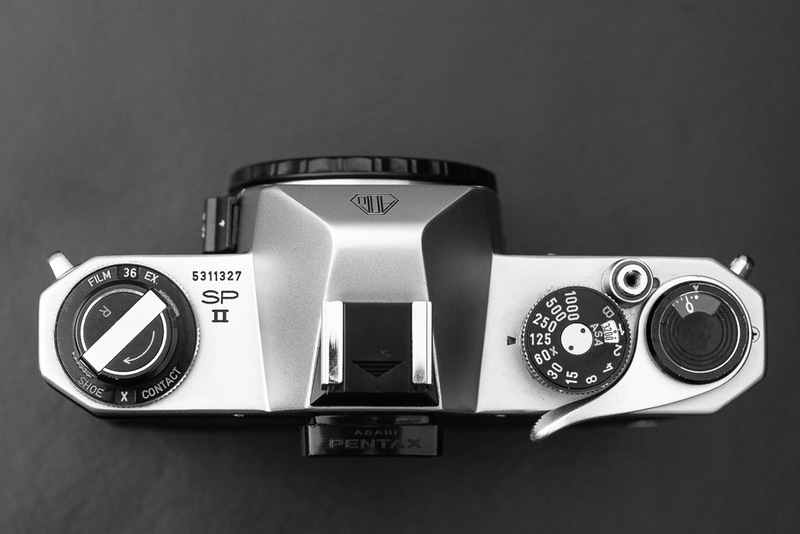 When I decided I would create a blog to review and pay tribute to the most amazing film cameras, I also decided that the first camera to start with should be the “Pentax Spotmatic”. Why? 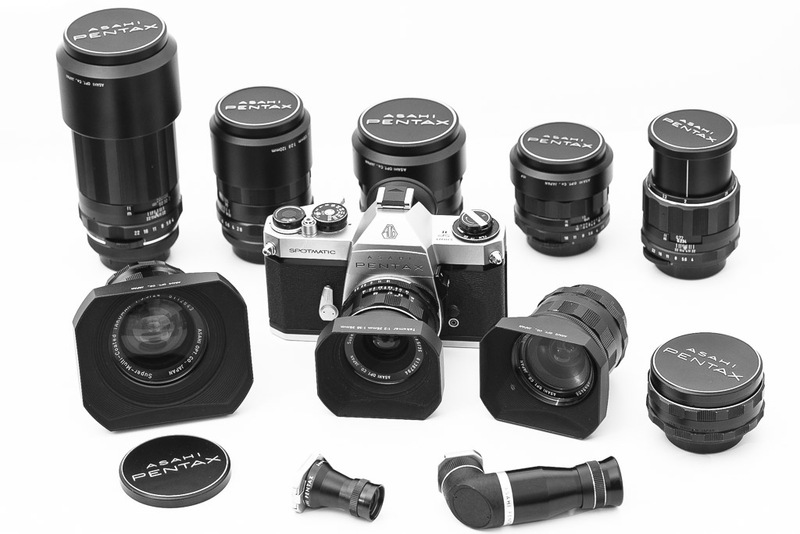 The Asahi Spotmatic II uncompleted family, from left to right and downwards: 4/200, 2.8/120, 1.8/85, 1.4/50, 4/50 macro, 3.5/24, 3.5/35+SPII, 3.5/28, 4/17 fish-eye, magnifying eye-piece and the 90 degree rotating eye-piece. 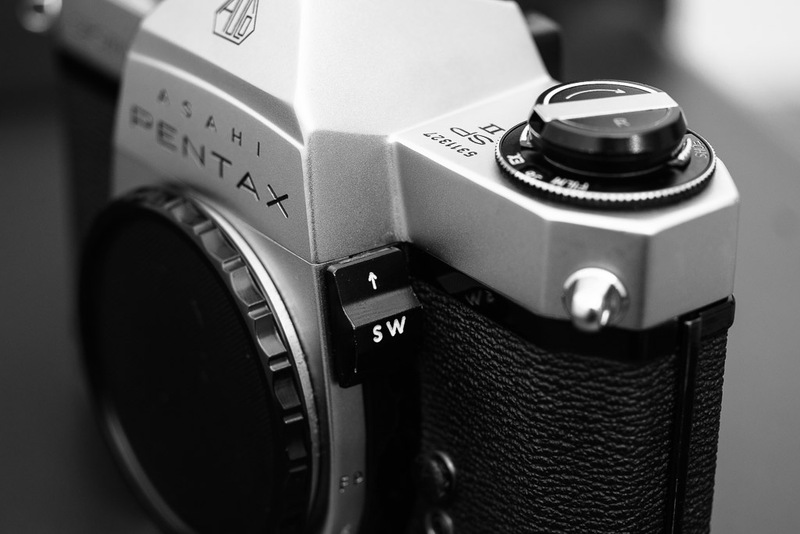 The Pentax is a iconic camera, some have said that it is the Volkswagen of the camera world and while I agree that it is sort of it, I must also say that Asahi decided that their cameras should be on the same league of their German counterparts from Zeiss, and while in the 60’s and 70’s the Pentax was cheaper than those, the quality of their optics was up to the quality of the German Glass and guess what… They are still presently excellent optics to use on a digital camera. Well, the optics are not the camera but one must agree that it’s the most important element to pay attention on a camera right? I will make even a bolder statement: The takumar lenses have the best focus mechanism of all the manual lenses ever made and the more you use them, the better they get. And yes, I have used Zeiss, Leica, Nikon, Minolta, name it glass. The focus feel you get from Takumar lenses is just superb, smooth and precise. I have had over 20 takumar lenses and I am yet to find one that had problems with the focus helicoid. Also, these lenses are made of metal and glass only so even today you can find them looking like new. Even their caps are high quality, aluminum in the front and very nice quality Bakelite in the back. But let’s pay attention on the camera because I will give us a review of all the Takumar’s later. This is a very well built and very reliable camera that looks just like that and will keep taking photos I believe, during the next 2 or 3 centuries if you give it a proper use. Mine is in a very good shape although it’s over half a century old. It is my belief that the cameras made from the 50’s up to the 70’s are the best made cameras ever and since then they have gotten worse to the point that they are just very expensive disposable pieces of plastic on our days. Lens included. The pentax line of cameras did not start with the spotmatic but with it Pentax had their first slr with a light meter built in, and this is a very special one beloved by photographers, it allows stop down metering. While that may sound sophisticated, it is in fact a very archaic way of measuring the available light. It´s already a TTL camera with true the lens metering but the photographer as to stop down the lens manually to set the right exposure. This slows down the process of taking a photo but the good thing is that you learn in a very intuitive way how the metering works and how to predict the right exposure before you even take the camera to the eye. That’s why photography teachers recommend the camera to students even today. 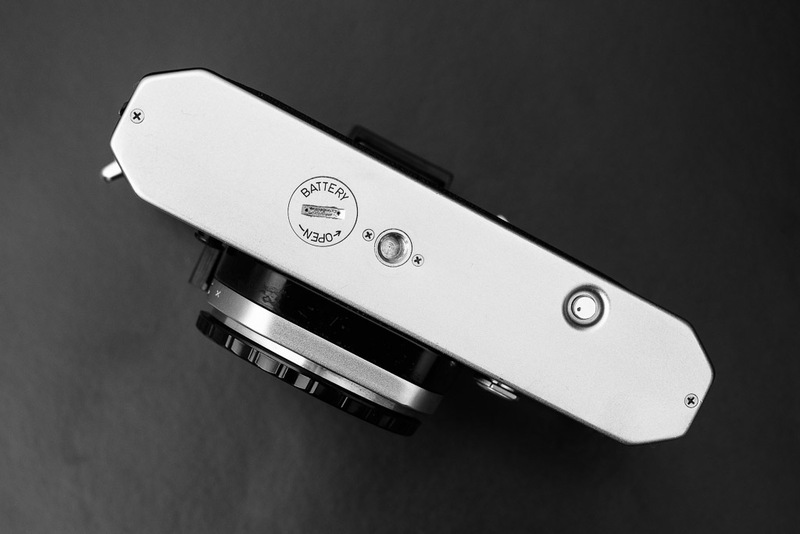 My model is the Spotmatic II, an all mechanical camera that is a improvement to the original Spotmatic just by adding a fixed hot-shoe for the flash. Later models are the Spotmatic F (no longer a stop down metering camera because the diaphragm is coupled to the meter) and at last came the automatic Spotmatic ES and the much improved Spotmatic ES II, with better and more reliable electronics. The second reason why I like this camera so much is because it uses m42 lenses and this means it uses a screw mount of 42×1 mm also called pentax mount or universal mount. Well, I think universal mount is the best name for it because almost all cameras in the world can use this lenses and also because a big bunch of camera makers did build their own camera systems around the m42 mount. That’s great because with this camera you can also use lenses from Zenith, Pratika, Zeiss Pentacon, Olympus, Mamiya, Rollei, Fuji, Chinon, Ricoh, Revue, etc. Even in 2003, Cosina Voigtlander gave us a brand new camera for m42 lenses, the Bessaflex! Thank you CV, I love you so much and please, please… give us more! 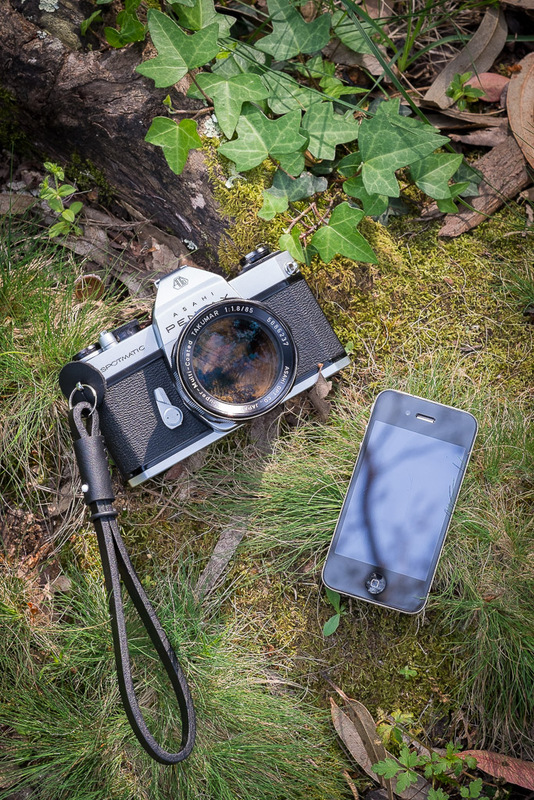 The spotmatic plus the smc takumar 1.8/85 compared to the size of the iphone. The weight of this combo is still light enough to be used with a wirst strap. 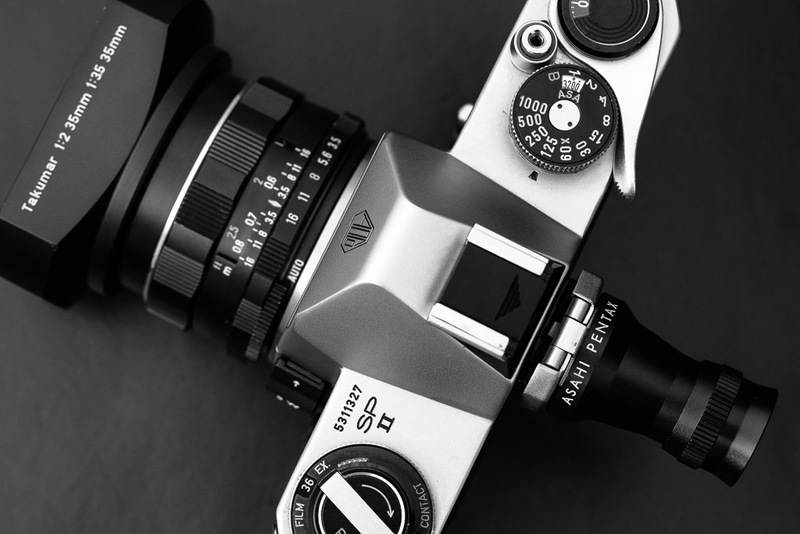 So, at this point we already know what is great about the spotmatic, it´s a high quality camera with high quality lenses that uses a very nice metering system and has a universal m42 mount that takes lenses from almost all the camera makers in the world. 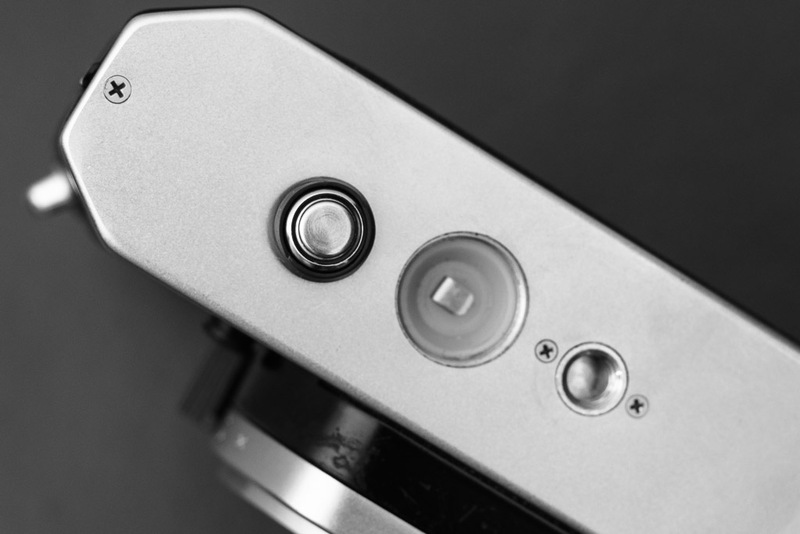 So before we go into details are there any bad things about the spotmatic? Well, yes… some few. To start with, the biggest flaw of the spotmatic II to my eyes, literally, is the viefinder screen. It´s a screen designed in the 60’s and like most any other viewfinder from that age, it is a little dark for one to focus properly. If you use a fast lens like the smc Takumar 1.8/85 or the 1.4/50, you will have no problem to focus even in a dark location, but the truth is that almost all takumar’s are not that fast and it is very hard to focus a lens like the superb 4/50 macro takumar or the 3.5/28 takumar. Also, my Spotmatic does not have a split focus fresnel, just the rather conventional micro-prism fresnel circle and you cannot change the fresnel glass like with other cameras from that age. I must say that it’s pretty much the worse you get from the spoty but let me add also that the camera does not have a shutter lock and that the original batteries are no longer available, but like I will show you later, there is a easy fix for the later. To end, let me say that the weight of the camera is of 622 grams body only and 853 grams coupled with the Takumar 1.4/50, a bit on the heavy side compared with later models but still very portable. If you seek for more detailed information, you can find the original manual of the camera here. Now, let me tell you how it feels to use the camera, and in few word’s, it’s great! The Spotmatic is a beautiful camera and the Takumar lenses just feel even better made than Leica or Zeiss but at the same time more discrete. The camera grabs the attention of the people passing by and goes well as like a fashion accessory. The ergonomics are great since you get only the most basic commands to operate the instrument. Just select a speed and adjust the iris in accordance to what the light-meter and your intuition tells you. The SW button is very well placed and the whole experience of the stop down metering system just feels natural and is not obstructive. 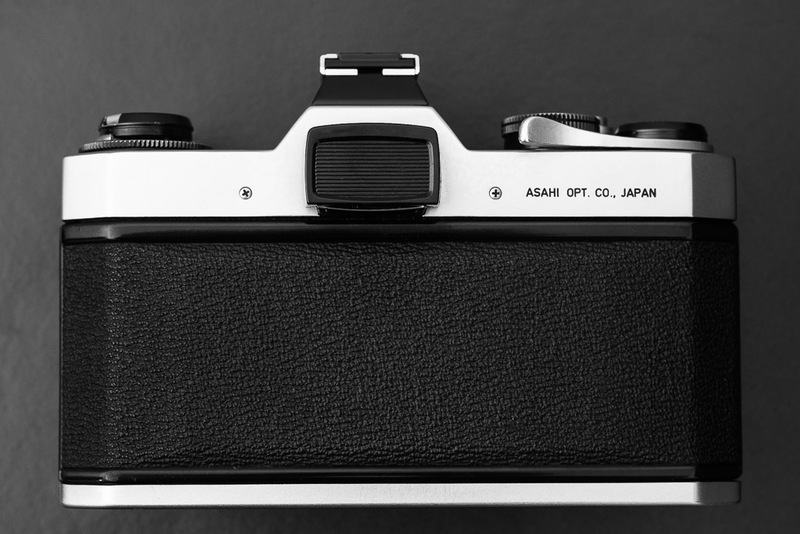 Simple than that, maybe only a Leica M6. Because of the stop down metering system it is my practice to setup the right exposure immediately after I change environment, this way my exposure settings are always very close to the right value so if I need to be quick, I can always rely on those settings for a shot. Very close to how one operates the Leica M.
On a future post I will have the pleasure to give us a review of the Takumar lenses I have used. Thank you for reading. If you like the brown slim strap please visit hour shop! Click here.